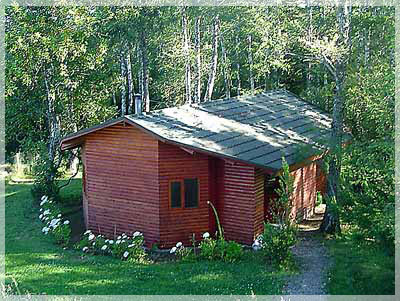 In the park 3 comfortable and spacious log cabins are waiting for you. Each of them is completely equipped with kitchen and dining area, living room and double and 4-bedrooms with private bathroom. 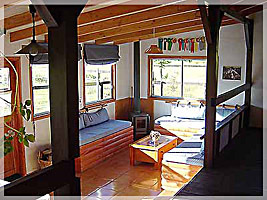 All houses are situated in their own garden with spectacular view, barbeque and garden table. Our Prices include maid service, towels and sheets. 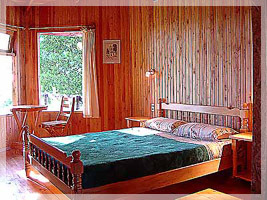 If you want, we arrange your tours and activities with no additional costs. Let us organize the service you want, at the best price possible with local firms, including advice on where to go and when. Our experience of over 10 years is at your disposal.